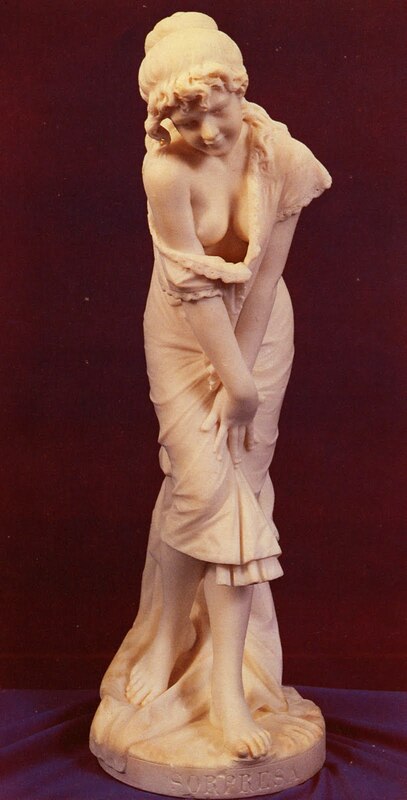 Cesare Lapini (1848-1893) was born in Florence. 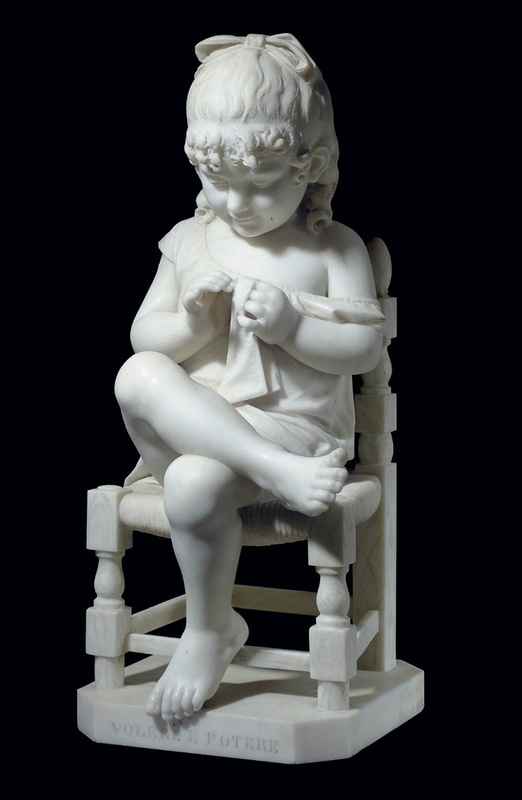 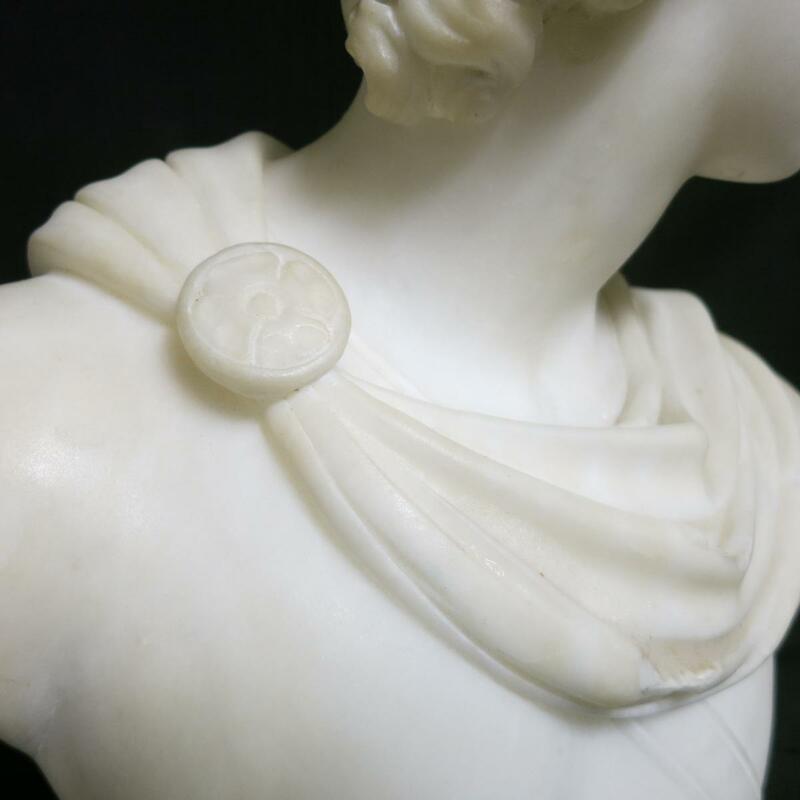 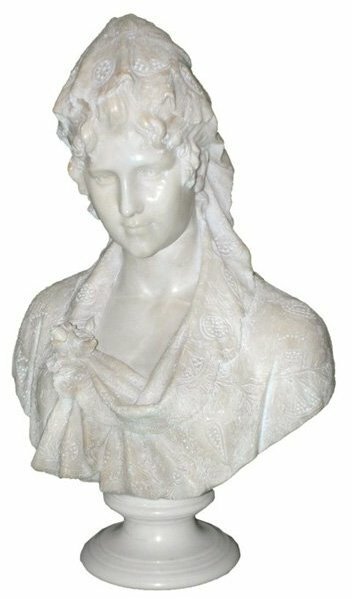 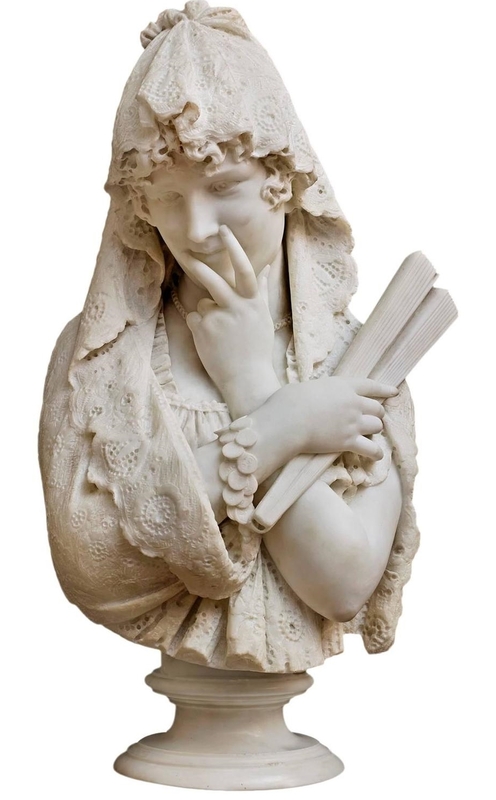 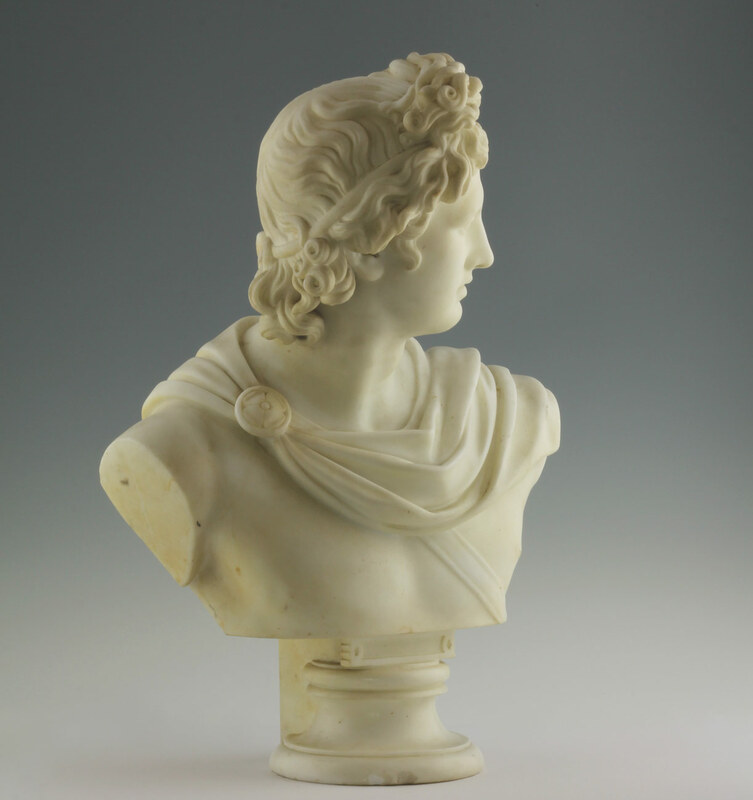 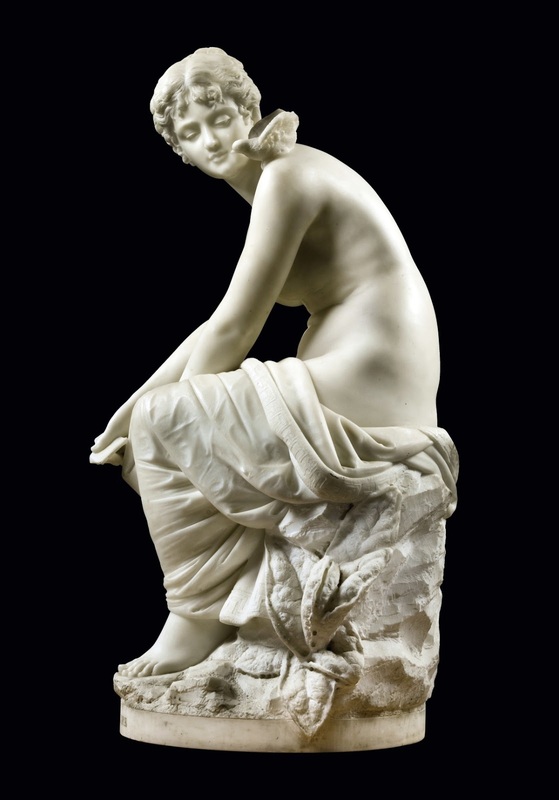 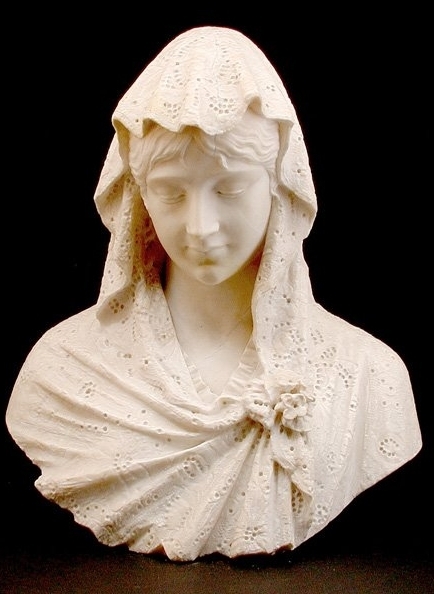 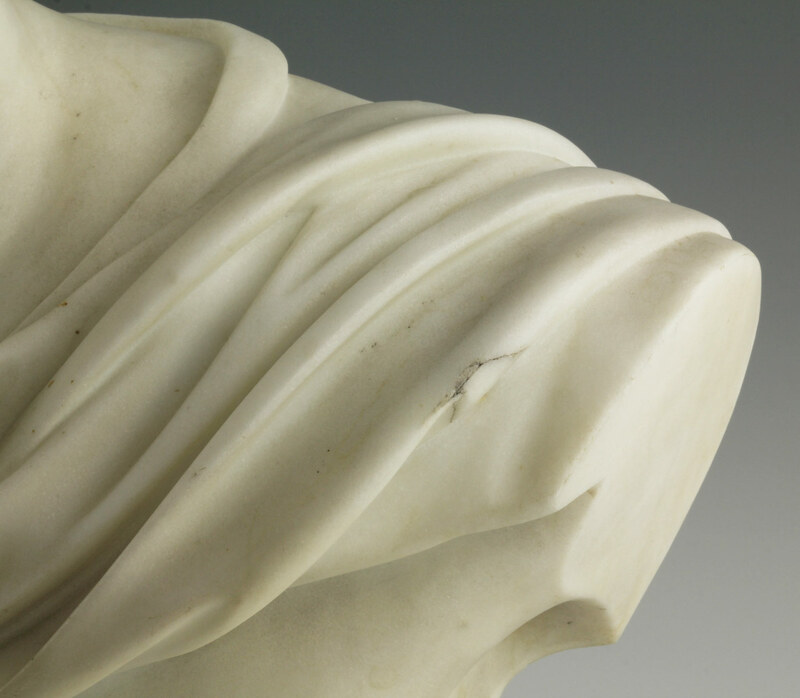 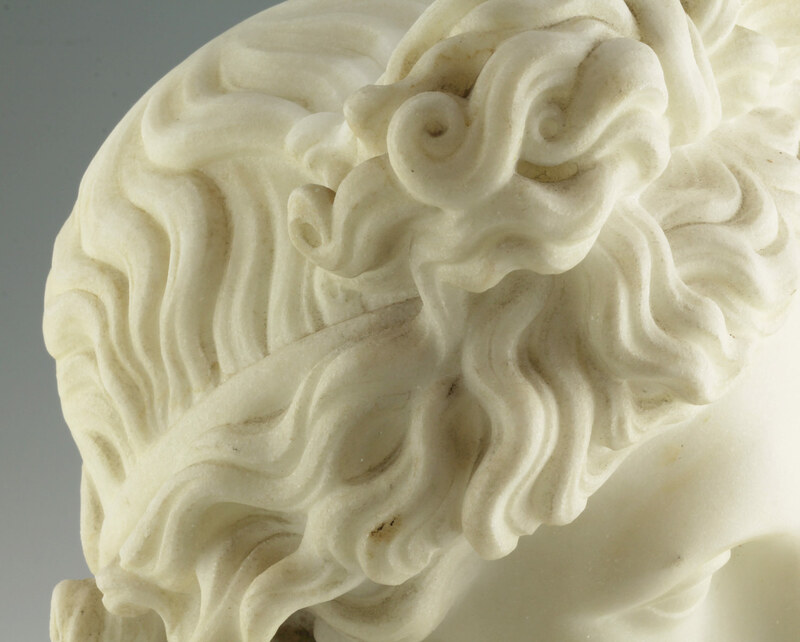 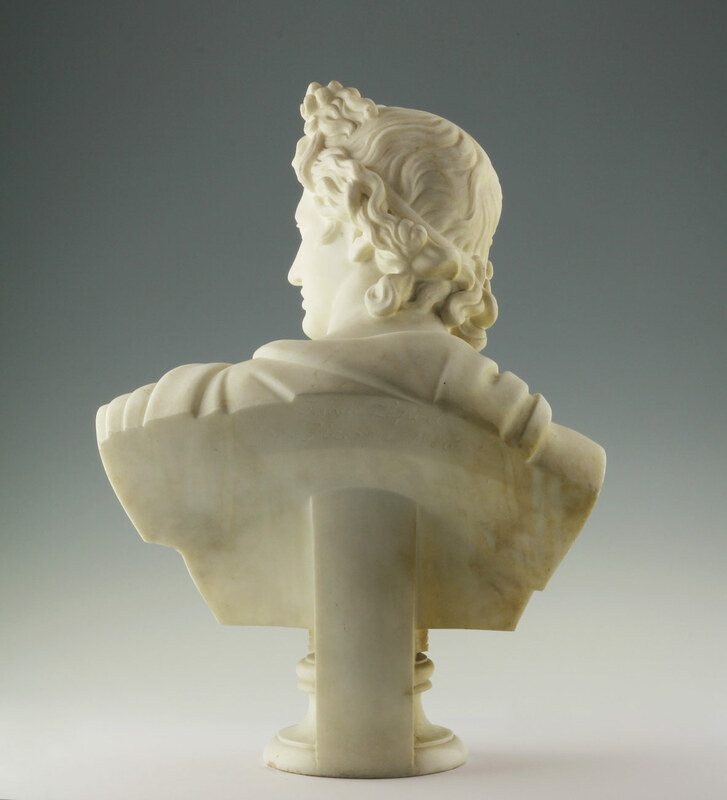 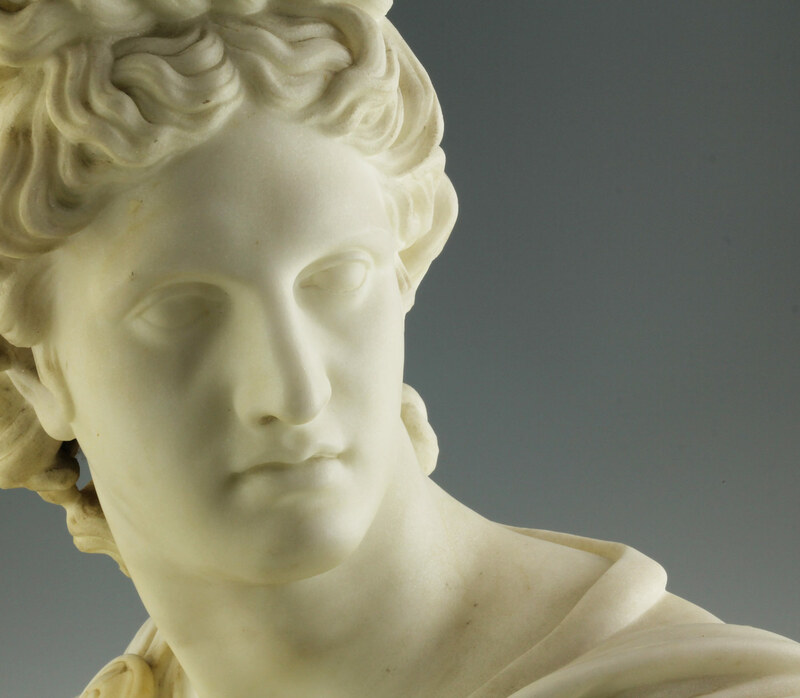 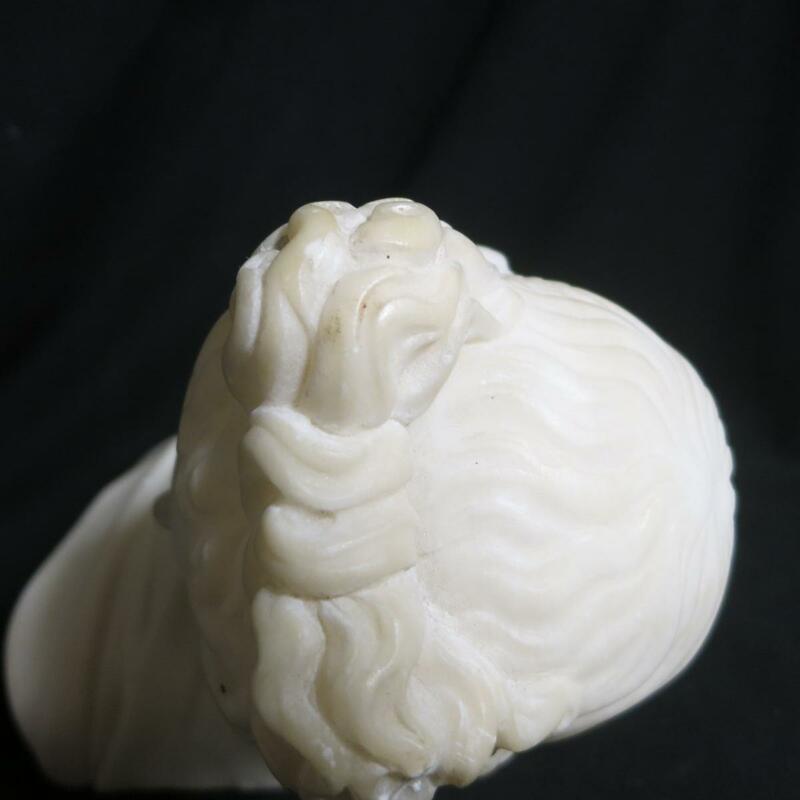 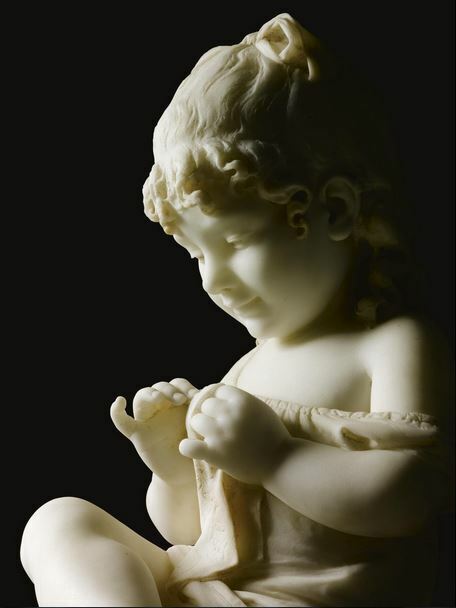 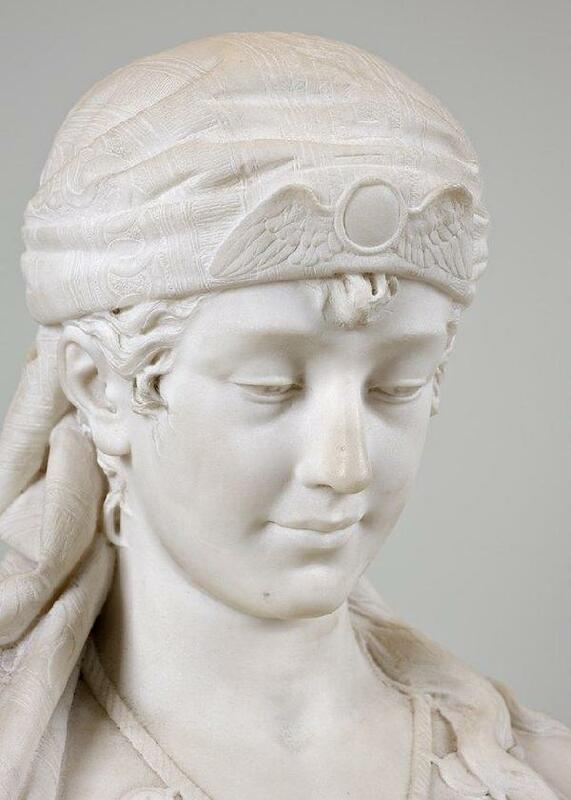 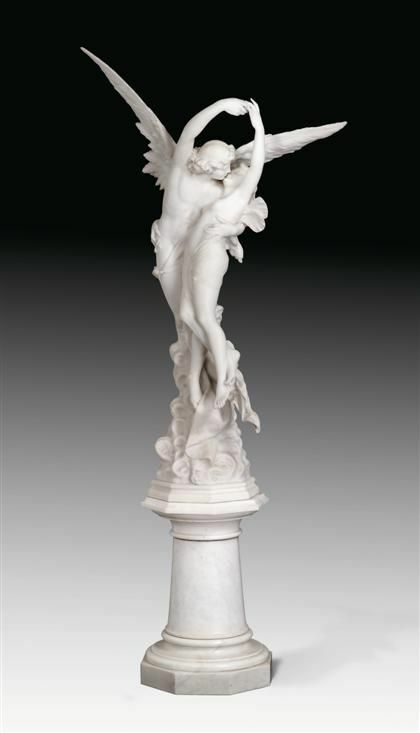 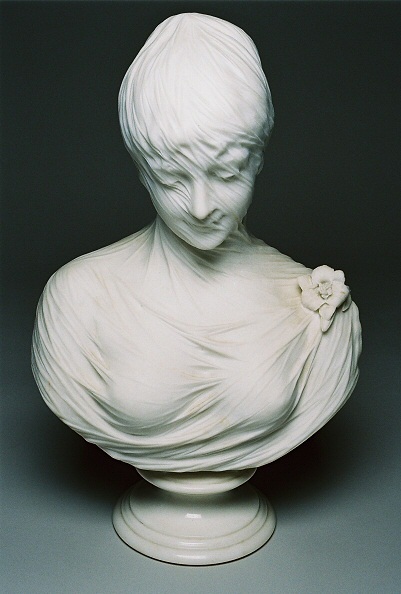 He became one of the leading sculptors of his generation producing works in marble including allegorical works, copies after the Antique, genre subjects and portrait busts. 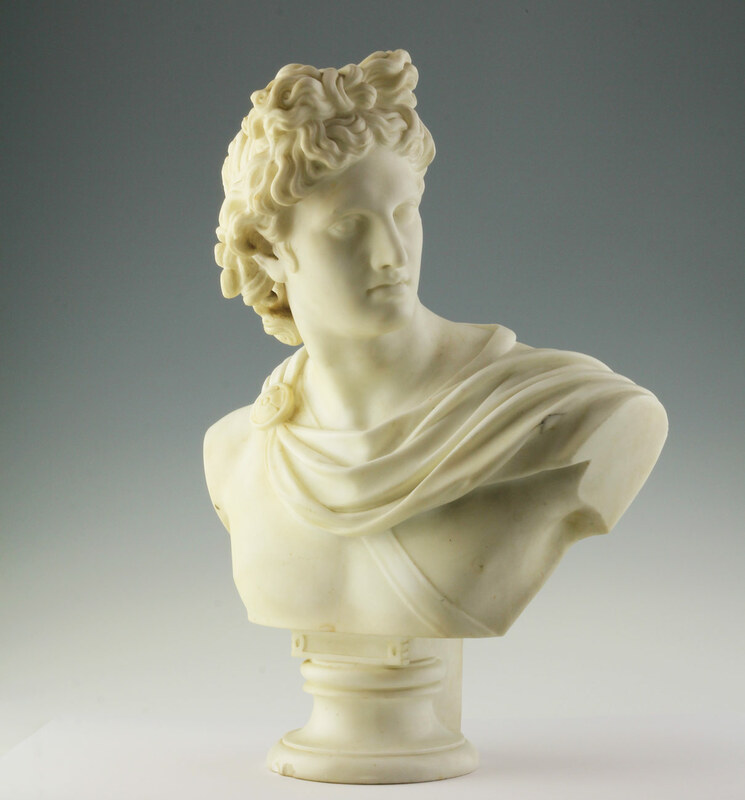 These he sold with great success along with works by his contemporaries in his gallery in Florence, to travellers on the Grand Tour, which, from having been limited in the 18th Century to the aristocracy and minor royalty now included the wealthy bourgeois from Britain, Germany, Russia, France and of course the United States. 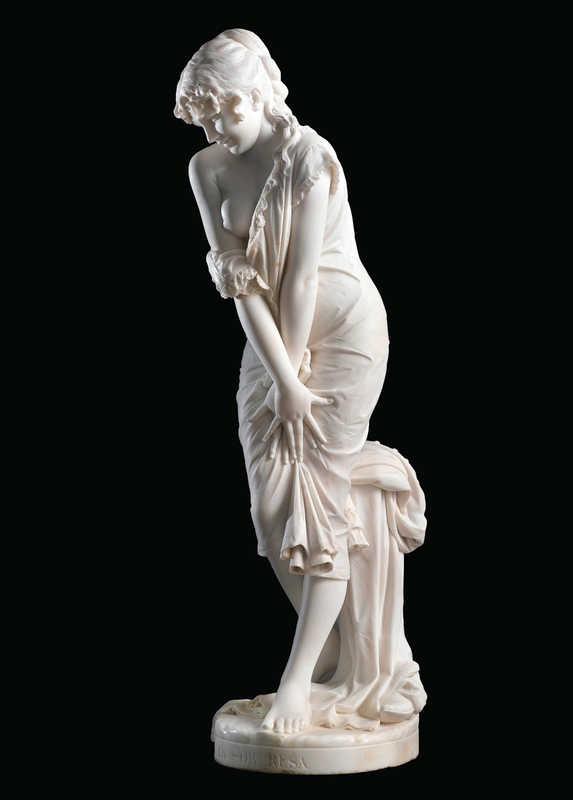 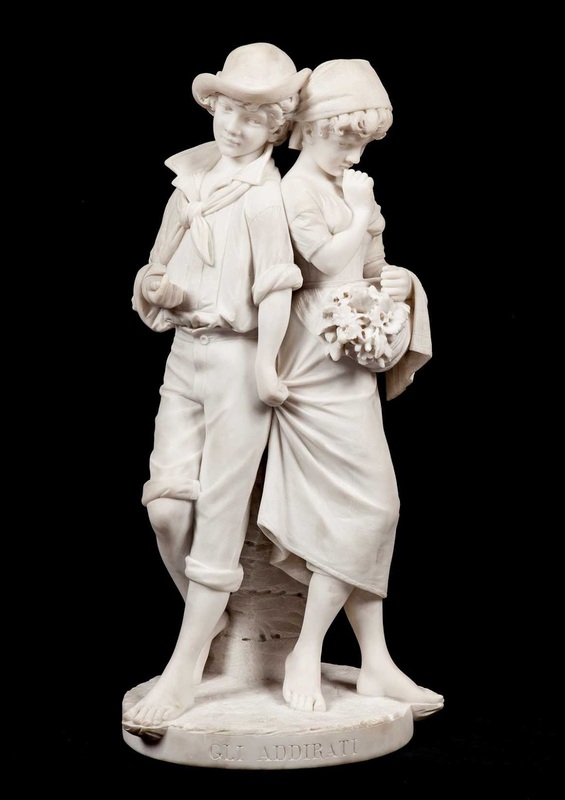 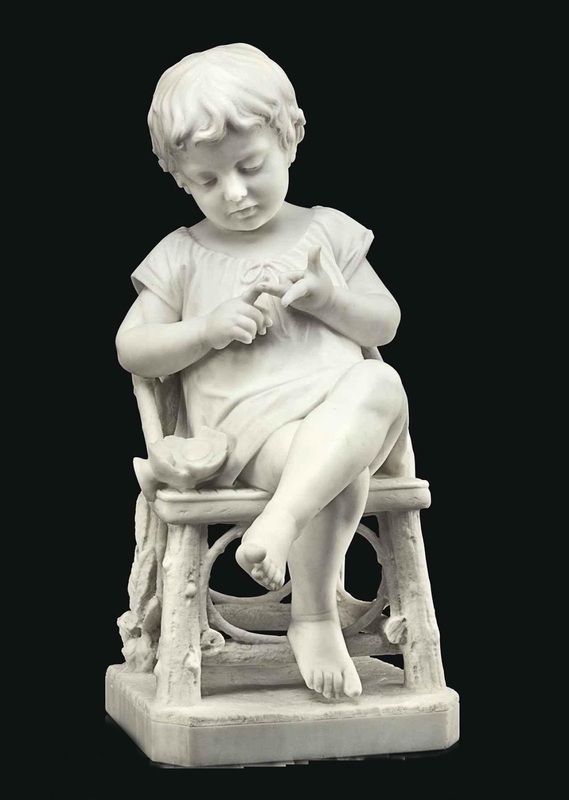 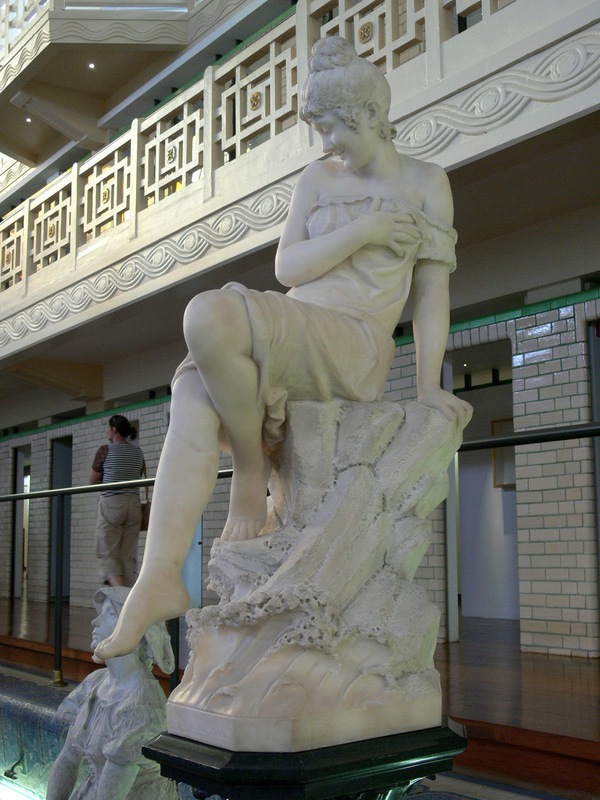 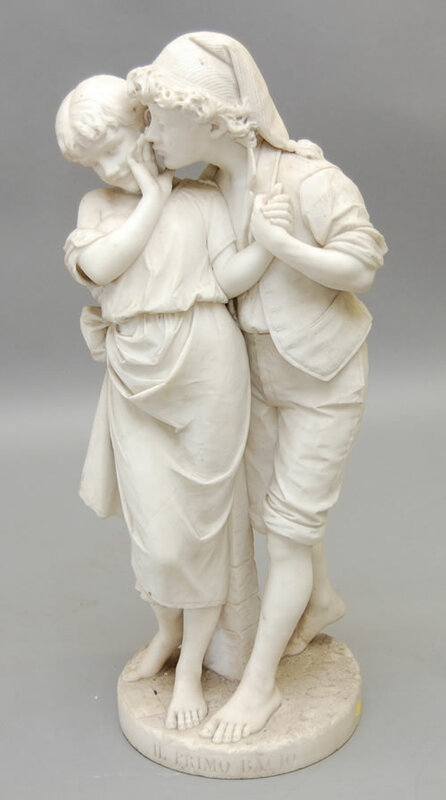 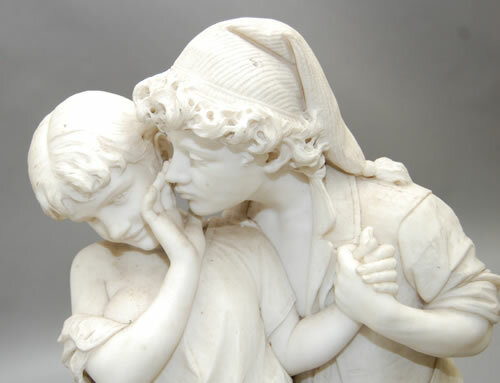 He exhibited a number of sculptures at the ‘Esposizione Generale Italiana di Torino’ in 1884, including “Sorpresa” and “Il primo bacio”, also exhibiting in Rome in 1888. 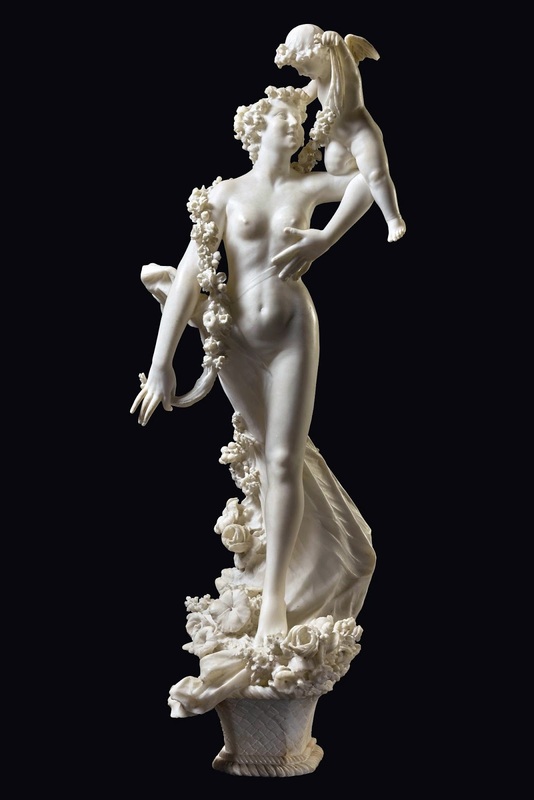 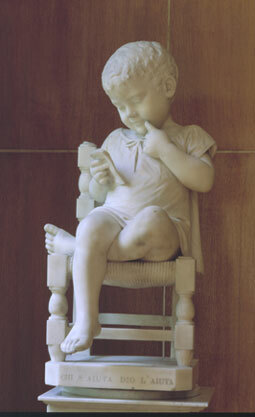 Lapini was widely admired for the delicacy and refinement of his technique, the fine patina and the emotional quality with which he imbued his figurative work. 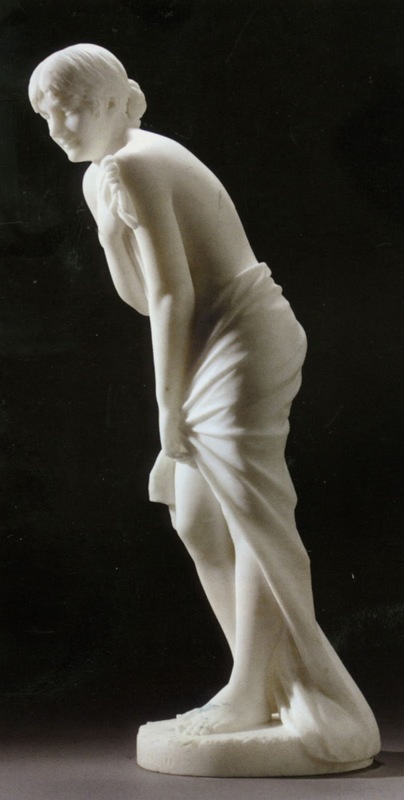 He was highly successful both as a sculptor and as the owner of a gallery retailing sculpture throughout Europe and the United States. 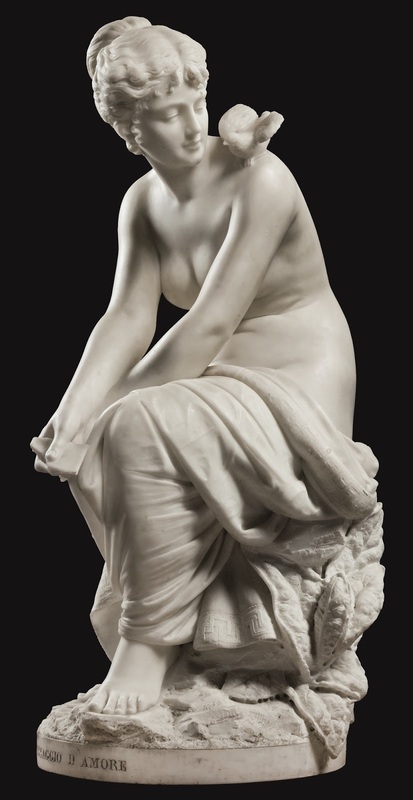 Cesare Lapini (1848-1893) è stato uno scultore Italiano* nato a Firenze. 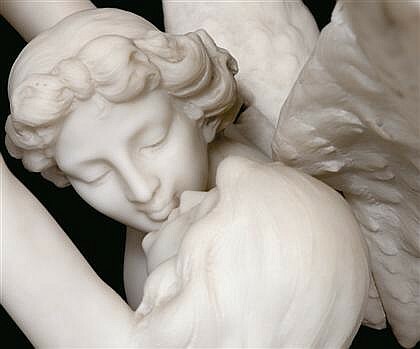 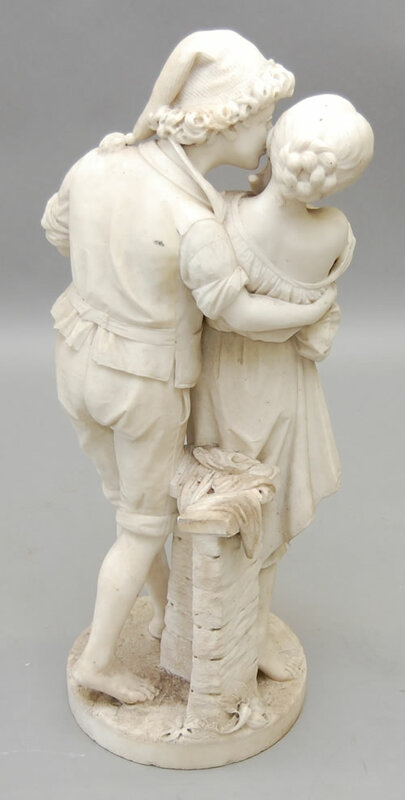 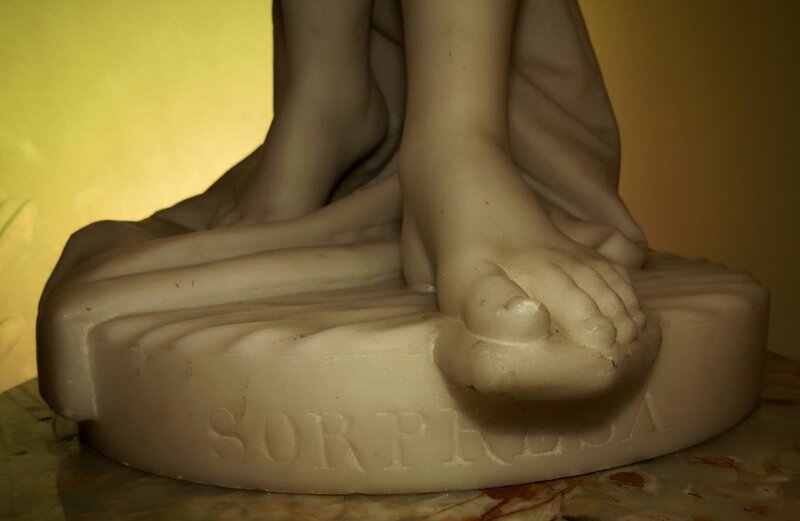 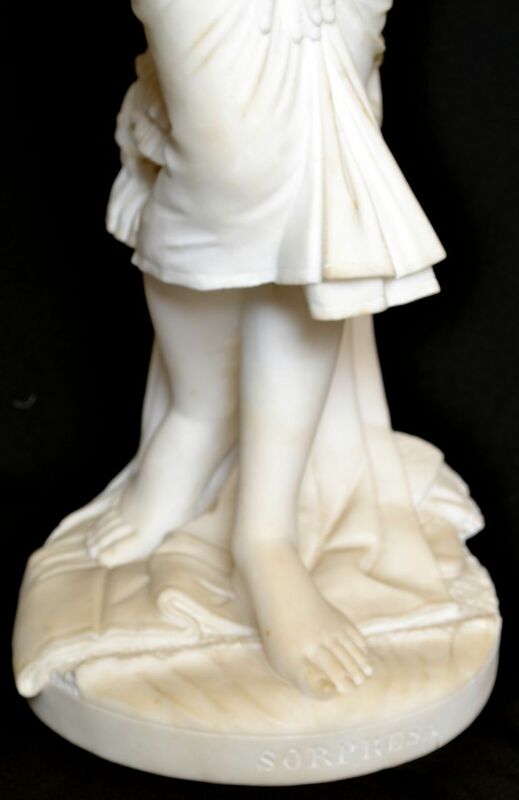 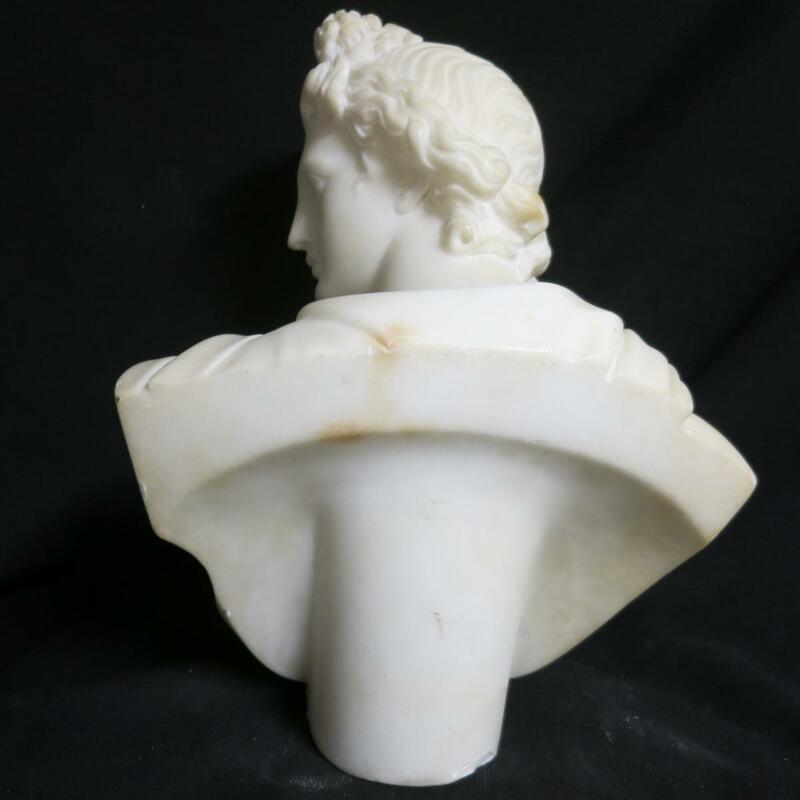 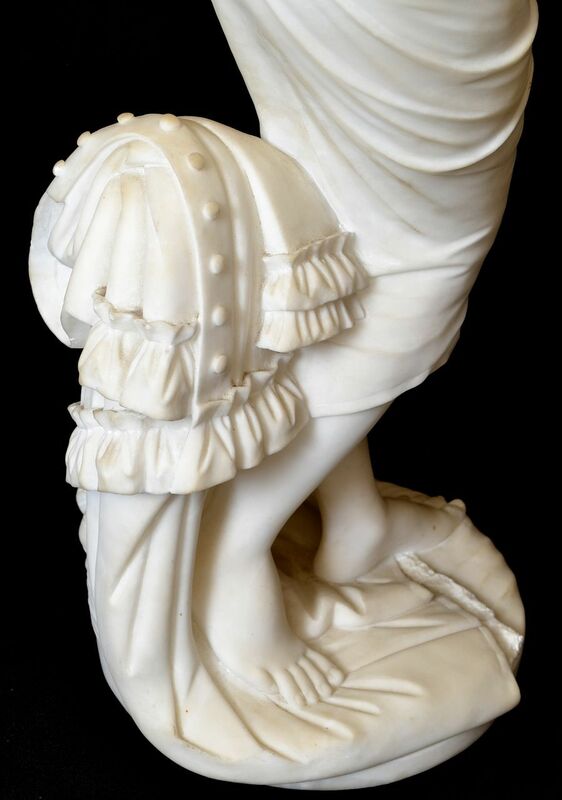 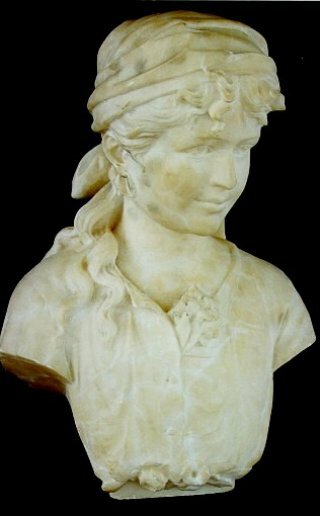 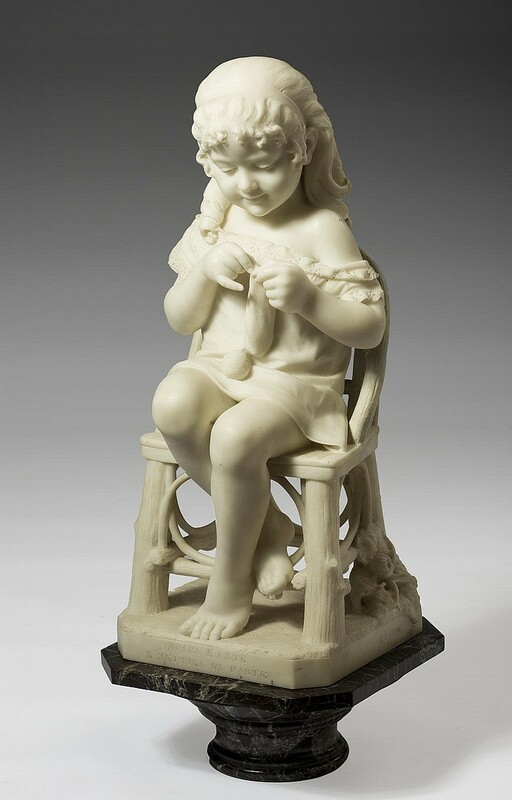 E' divenuto uno degli scultori più importanti del suo tempo e le sue opere in marmo comprendono soggetti allegorici, copie d'epoca, soggetti di genere, ritratti e busti. 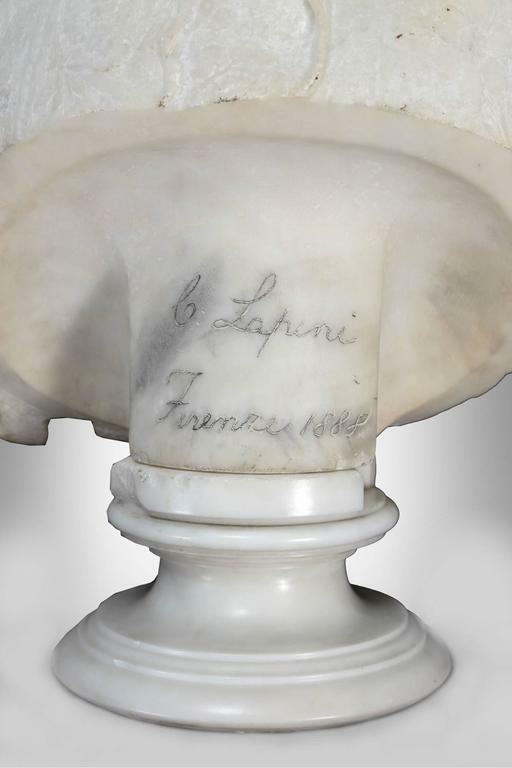 Lapini ha venduto con grande successo opere proprie e di suoi contemporanei nella sua Galleria di Firenze, arrivando a proporre i propri articoli in tutta Europa e negli Stati Uniti. 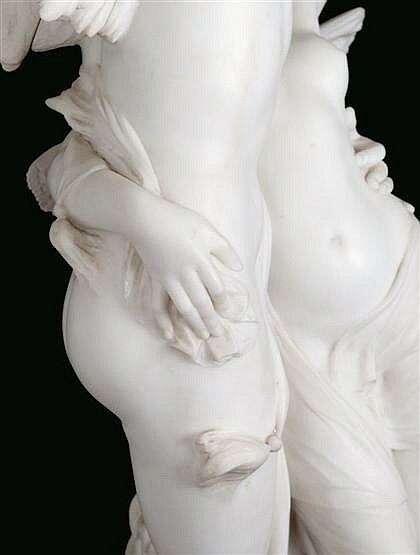 Cesare Lapini è stato ampiamente ammirato per la delicatezza e la raffinatezza della sua tecnica, la patina fine e la qualità emotiva con cui ha permeato la sua opera figurativa.